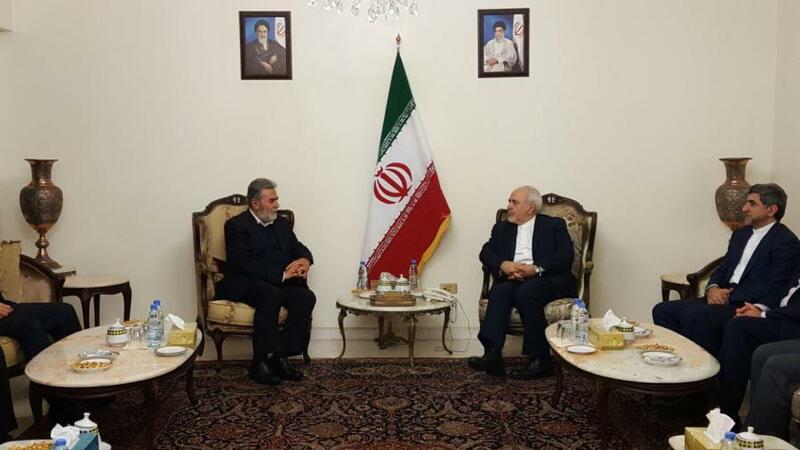 Iranian Foreign Minister Mohammad Javad Zarif and the Secretary-General of the Islamic Jihad Movement in Palestine Ziad al-Nakhalah discussed the latest developments in the region and Palestine. 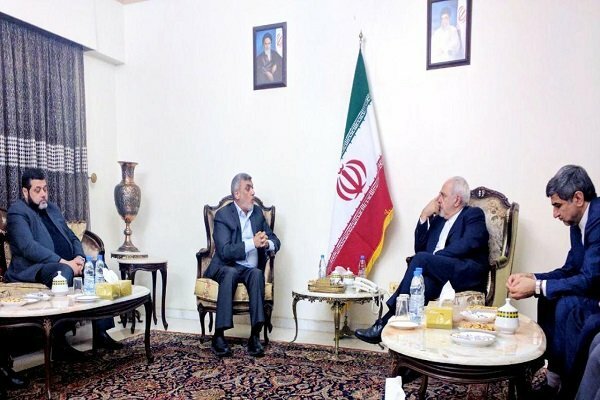 Members of the Political Bureau of Hamas Movement have held talks with Iran’s Foreign Minister Mohammad Javad Zarif in Beirut. 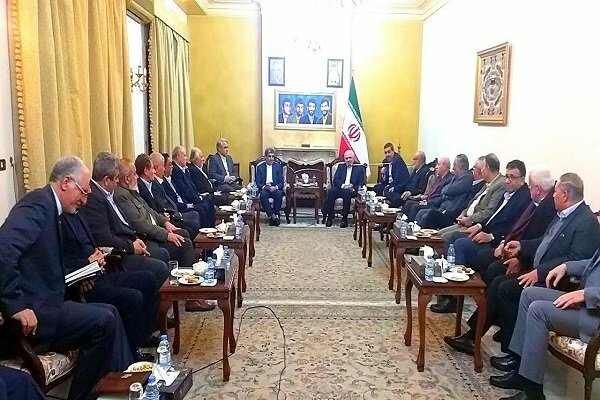 Iranian Foreign Minister Mohammad Javad Zarif on Sunday held talks with representatives of political parties and movements in Beirut. 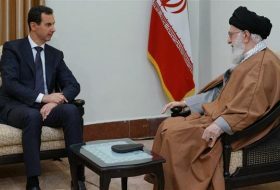 Hezbollah Secretary General Sayyed Hasan Nasrallah and Iranian Foreign Minister Mohammad-Javad Zarif on Monday reviewed latest developments in Lebanon and the region. 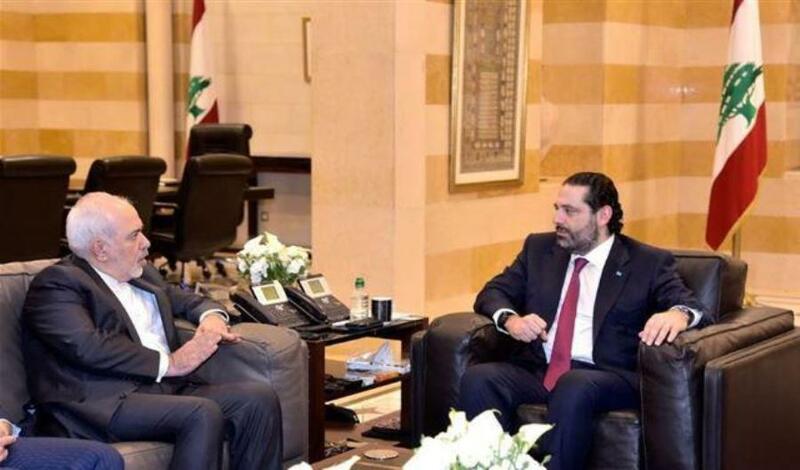 Iranian Foreign Minister Mohammad Javad Zarif congratulated setting up of the Lebanese government in a meeting with Prime Minister Saad Al-Hariri, describing it a major achievement. 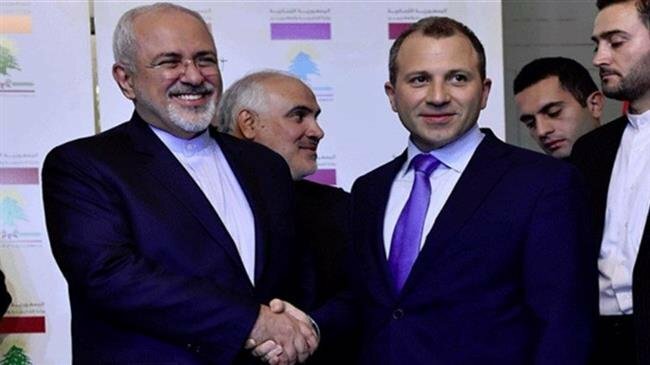 Iranian Foreign Minister, Mohammad Javad Zarif sat for talks with his Lebanese counterpart, Gebran Bassil in Beirut. 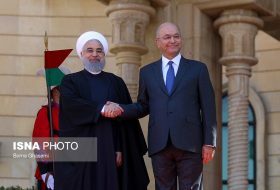 During the meeting, the two sides welcomed further cooperation between Iran and Lebanon in all areas particularly in most significant regional issues like Syria and the Syrian refugees in Lebanon. 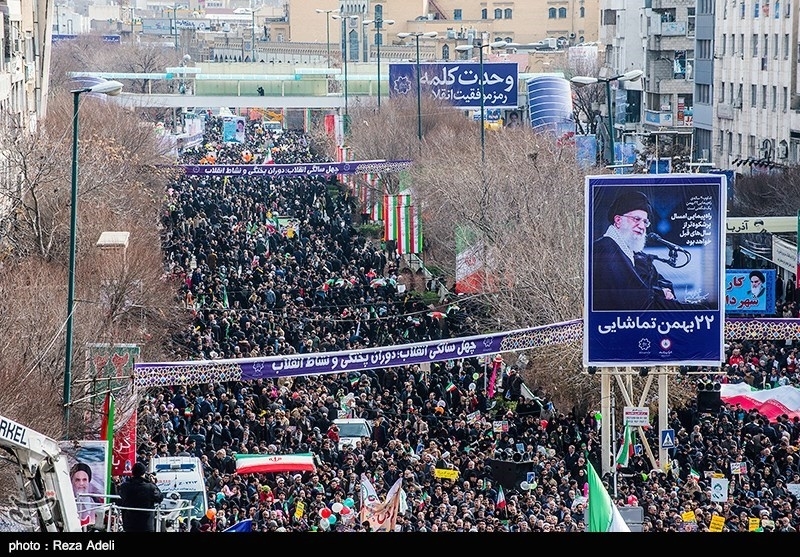 Iranian people poured into the streets on Monday morning to hold nationwide rallies commemorating the 40th anniversary of the victory of the 1979 Islamic Revolution. 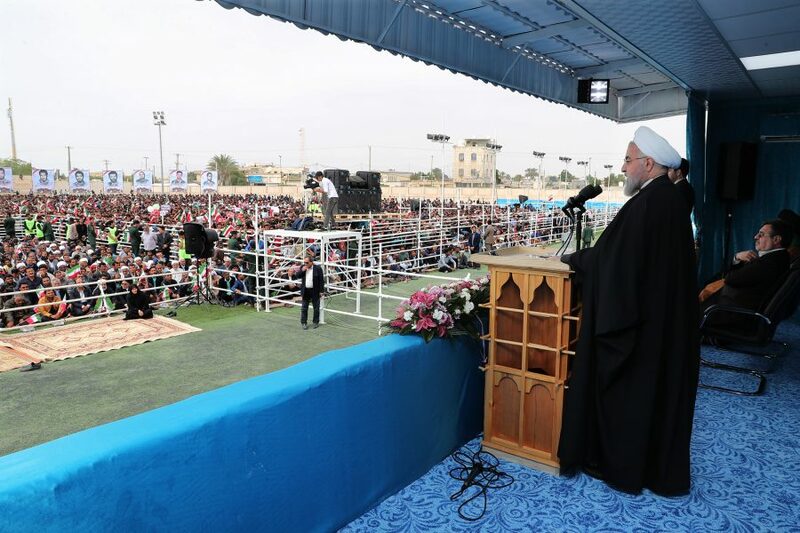 Senior officials join public rallies on Islamic Revolution anniv. 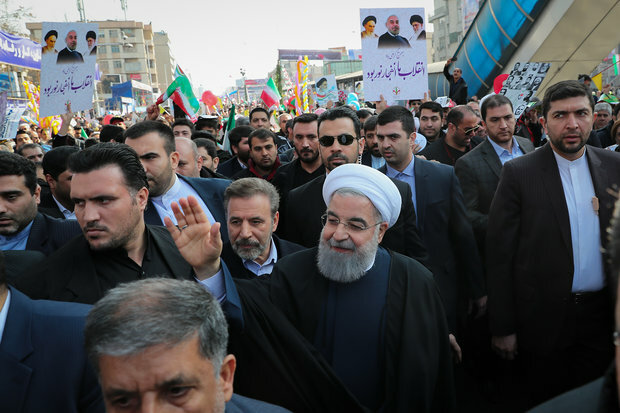 Iran President Hassan Rouhani in Bahman 22 rally. 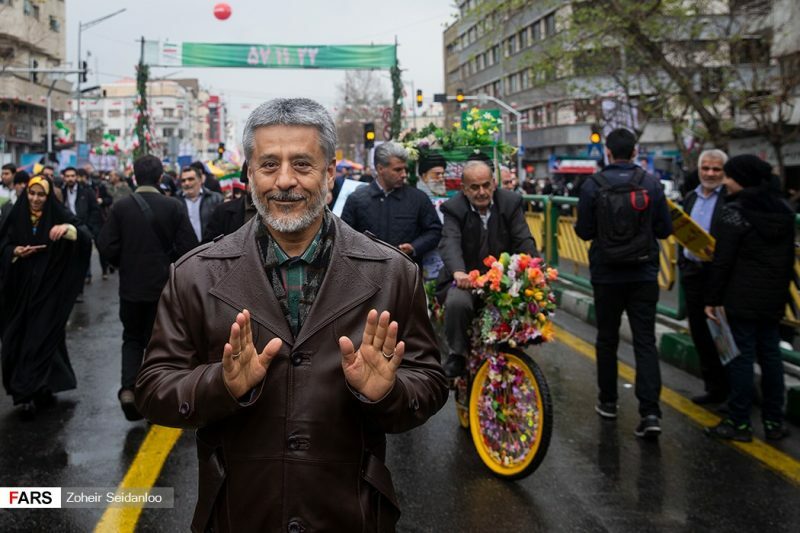 Iran Judiciary spokesman, Gholam-Hossein Mohseni-Eje’i in Bahman 22 rally. Iranian Parliament Speaker Ali Larijani in Bahman 22 rally. 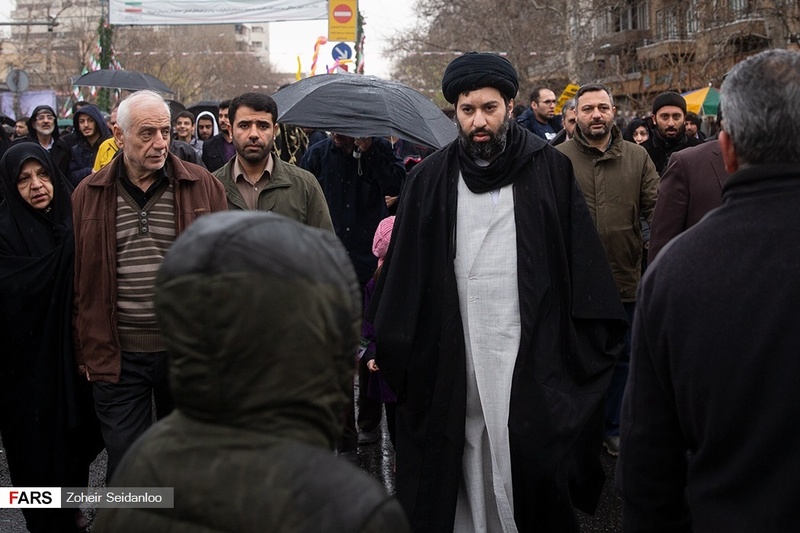 Ayatollah Sadeq Amoli-Larijani in Bahman 22 rally. Senior parliamentary official Alaeddin Boroujerdi in Bahman 22 rally. The First Vice President of Iran Eshaq Jahangiri delivered a speech at Tehran’s Azadi Square for the anniversary, which took place on the 22nd day of the month of Bahman in the Iranian calendar. Ayatollah Hossein Nouri Hamedani in Bahman 22 rally. Rear Admiral Habibollah Sayyari in Bahman 22 rally. Supreme Leader’s son Seyyed Meysam Khamenei in Bahman 22 rally. 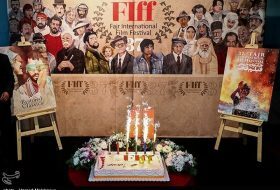 The closing ceremony of the 37th Fajr Film Festival of Iran was held at Tehran’s Milad Tower on Monday night. 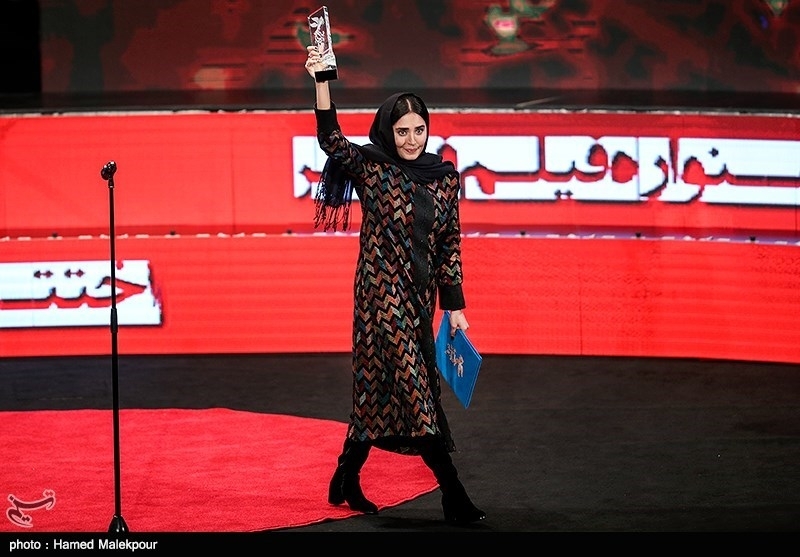 “The Night Moon Was Full” clinched seven awards including for best motion picture. 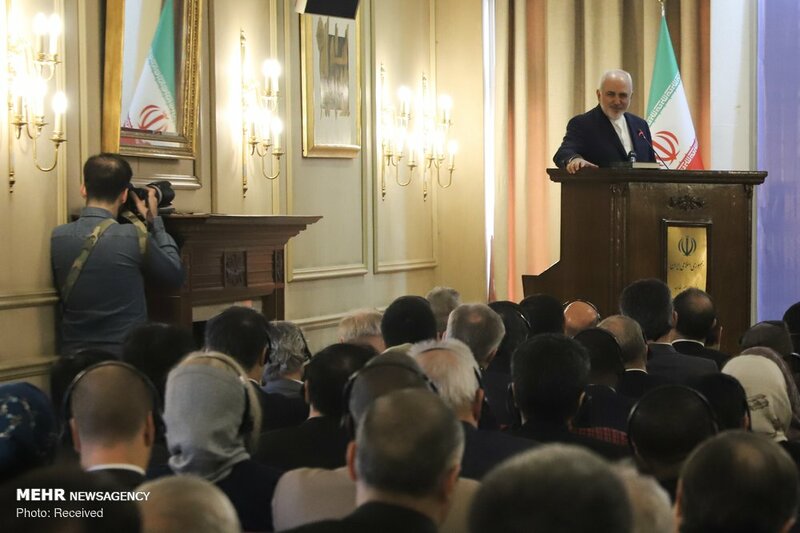 Foreign Minister Mohammad Javad Zarif and a number of former Iranian foreign ministers held a conference in Tehran on Tuesday, delineating the Islamic Republic’s achievements in foreign policy during the past four decades. 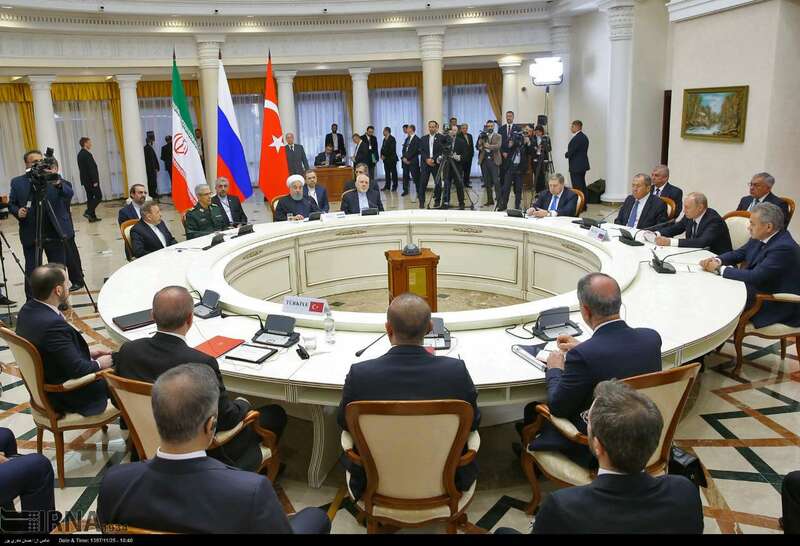 The event was also attended by a number of Iranian and foreign political figures. Iran Parliament Speaker Ali Larijani at the head of a delegation arrived in the Japanese capital of Tokyo on Tuesday to discuss ways to expand bilateral relations. while in Tokyo, he visited Tokyo Undersea Tunnel, Sea Road, as well as Panasonic Company and also held talks with Iran-Japan parliamentary friendship group. A number of the Islamic Revolution Guards Corps (IRGC) forces have been killed in a terrorist attack in southeastern Iran. The IRGC personnel were traveling between the cities of Zahedan and Khash, in Sistan and Baluchestan province on Wednesday, when their bus was targeted in a suicide car bomb attack. 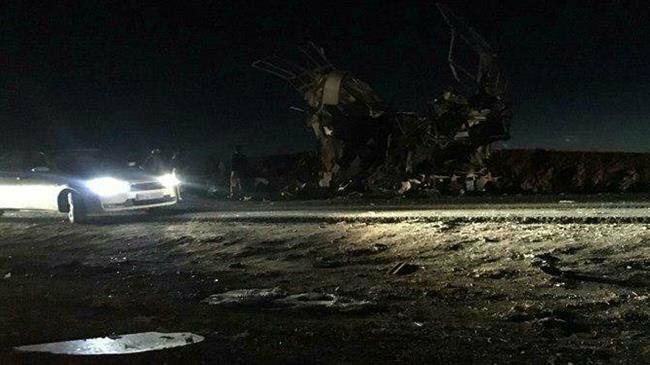 The IRGC’s Qods Headquarters said in a statement that a explosive-laden car rammed into the bus, which was taking the personnel back to their homes. The attack killed 27 IRGC members and injured 17 others, initial reports suggested. The bodies of IRGC personnel who were martyred in a suicide terrorist attack on their bus in Sistan and Baluchistan province yesterday evening were flown to their hometown of Isfahan from Zahedan. 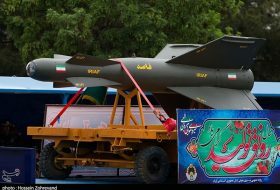 The martyred Revolutionary Guards belonged to Imam Hossein 14 Division in Isfahan province. A large number of people went to the Isfahan Badr Airport to pay tribute to the martyred guards. 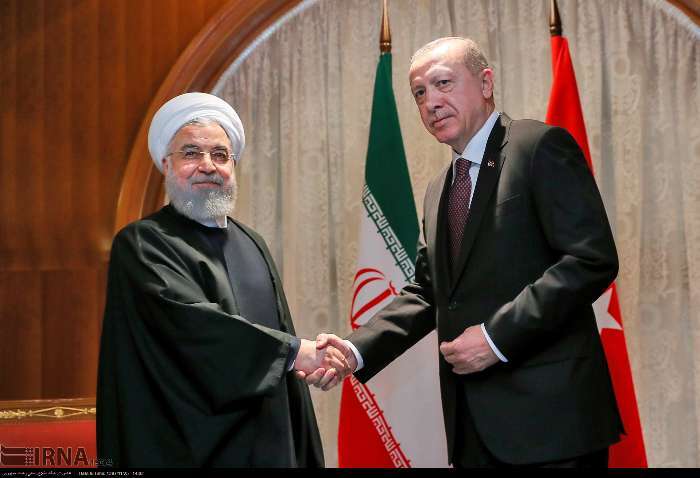 Iranian President Hassan Rouhani and his Turkish counterpart Recep Tayyip Erdogan met Thursday on the sidelines of a Syria summit in Russia. 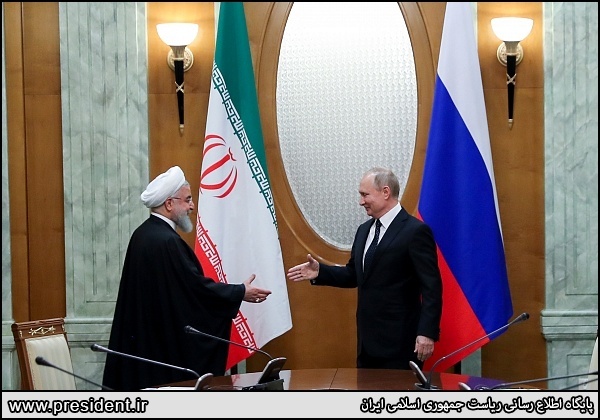 Iranian President Hassan Rouhani and his Russian counterpart Vladimir Putin met Thursday on the sidelines of a Syria summit in Russia. 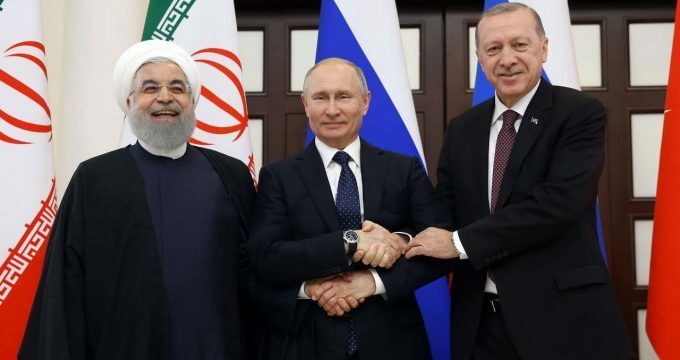 The fourth trilateral summit of Iran, Russia and Turkey on Syria was held in Sochi on Thursday (Feb. 14). 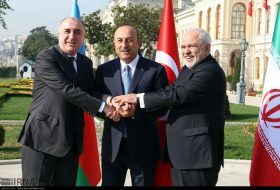 Presidents of the three countries issued a joint statement at the end of the summit and stressed strong commitment to the sovereignty, independence, unity and territorial integrity of Syria. 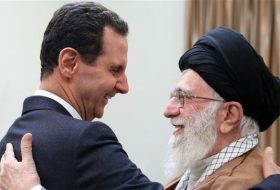 Iran’s foreign minister, Mohammad Javad Zarif, has warned the U.S. and its allies that it would be “suicidal” to start a war with Iran, accusing Washington of having a “pathological obsession” with his country. 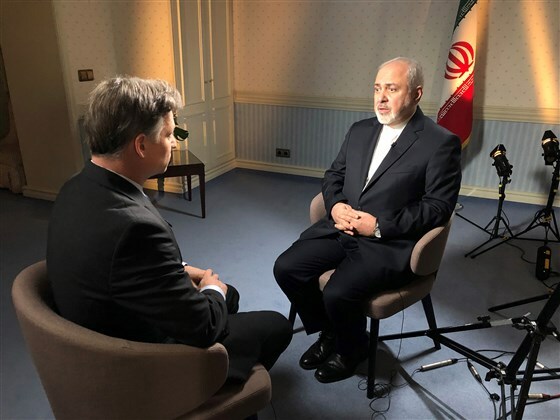 In a wide-ranging exclusive interview with NBC News on Friday, Zarif said that the “same gang” behind the 2003 Iraq War are “at it again” in pushing for war with his country. 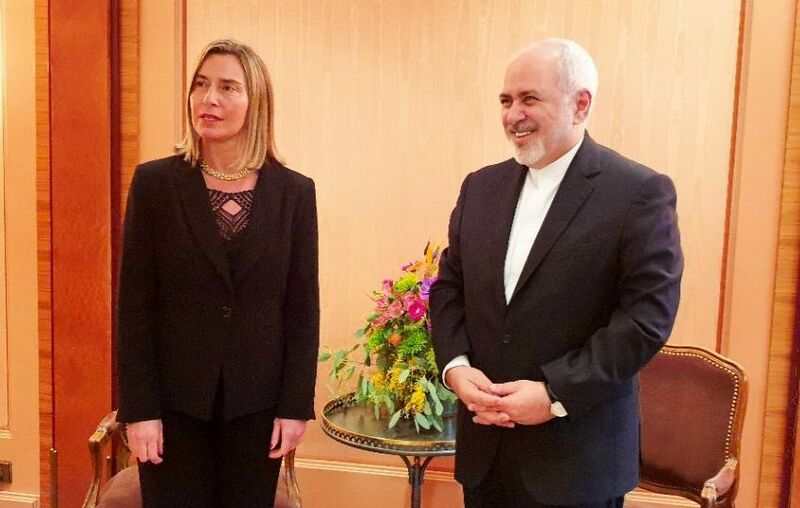 Iranian Foreign Minister Mohammad-Javad Zarif and EU High Representative for Foreign Affairs and Security Policy Federica Mogherini reviewed latest developments of Iran nuclear deal. 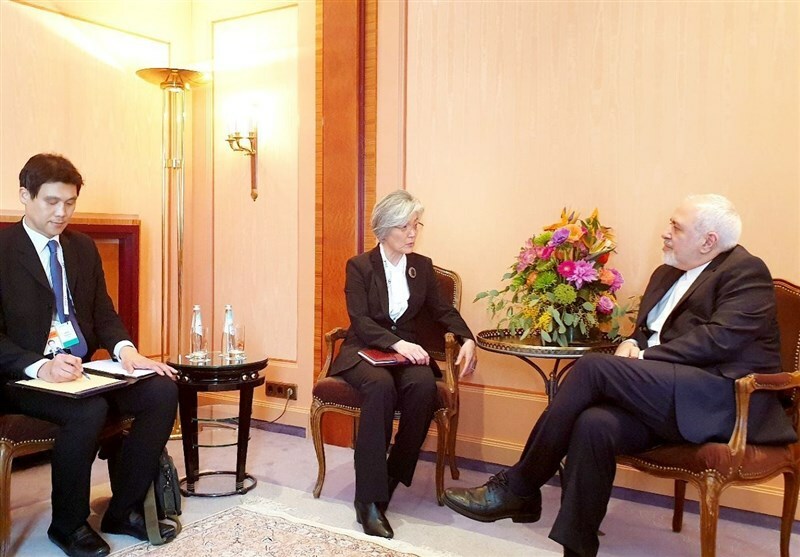 South Korea’s Foreign Minister Kang Kyung-wha and her Iranian counterpart Mohammad Javad met on the sidelines of the 55th Munich Security Conference in Germany on Friday. 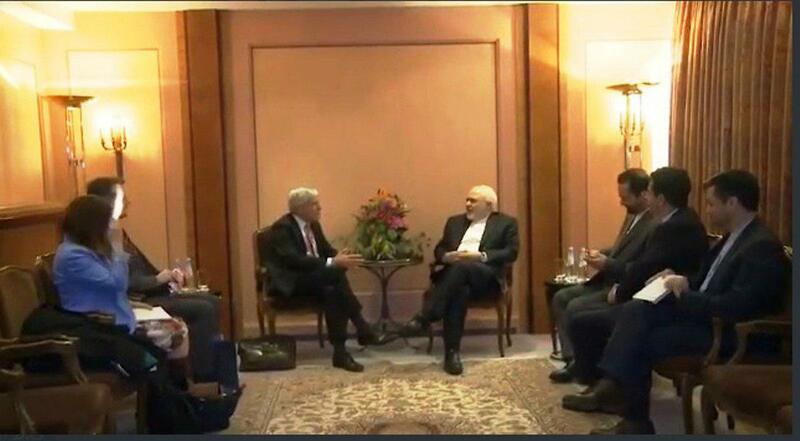 Foreign Minister Mohammad Javad Zarif and the Australian Security Intelligence Organization chief Duncan Lewis stressed the need for promoting mutual cooperation on the sidelines of Munich Security Conference Friday. Iranian Foreign Minister Mohammad Javad Zarif on Saturday discussed regional issues with the Elders on the sidelines of the Munich Security Conference in Germany. 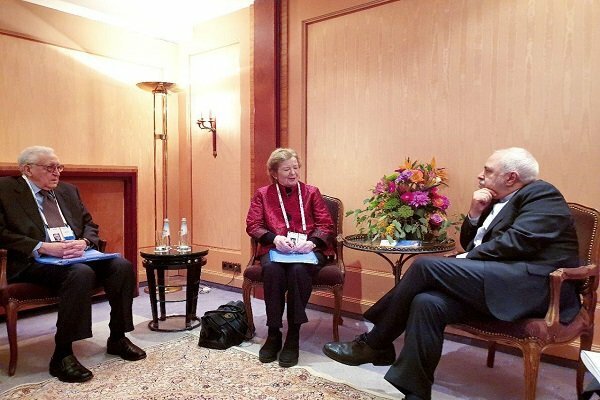 On the sidelines of the Munich Security Conference on Saturday, Iranian Foreign Minister Mohammad Javad Zarif held talks with former United Nations High Commissioner for Human Rights Mary Robinson, and Lakhdar Brahimi, former United Nations and Arab League Special Envoy to Syria. 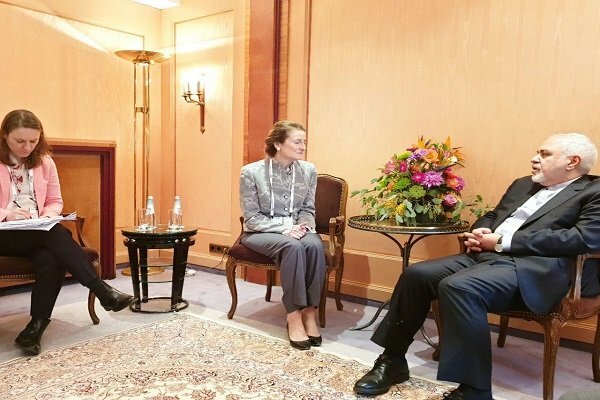 Iranian Foreign Minister Mohammad Javad Zarif and Henrietta H. Fore met and held talks on Saturday. 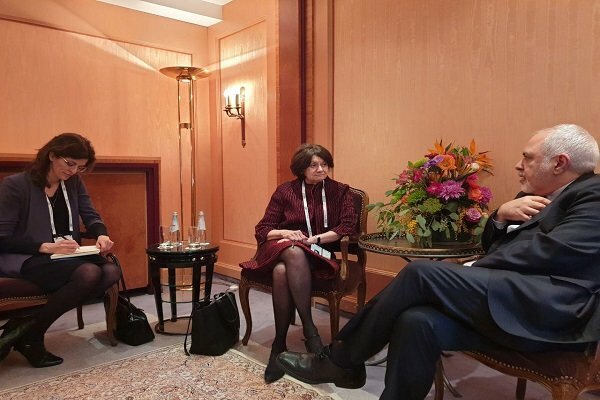 The cooperation between Iran and the UN International Children’s Fund was the main focus of the meeting between the two countries, held on the sidelines of the 55th Munich Security Conference in the German city of Munich. 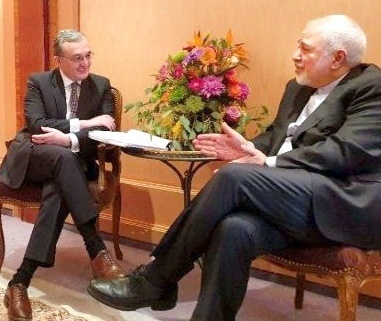 Iranian Foreign Minister Mohammad Javad Zarif met with UN Under-Secretary-General for Political Affairs DiCarlo on the sidelines of the 55th Munich Security Conference in the German city of Munich. 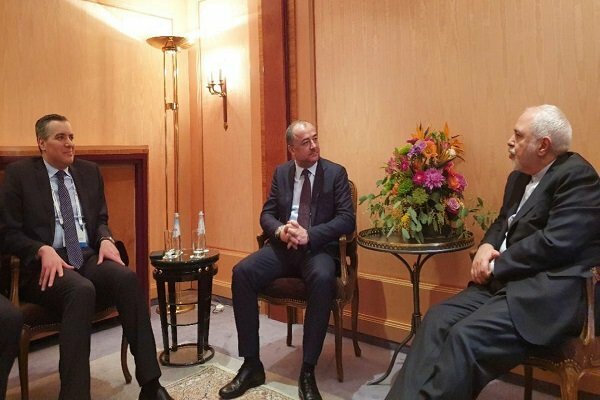 Iranian Foreign Minister Mohammad Javad zarif in a meeting with his Armenian counterpart Zohrab Mnatsakanyan discussed bilateral relations, Karabakh issue. 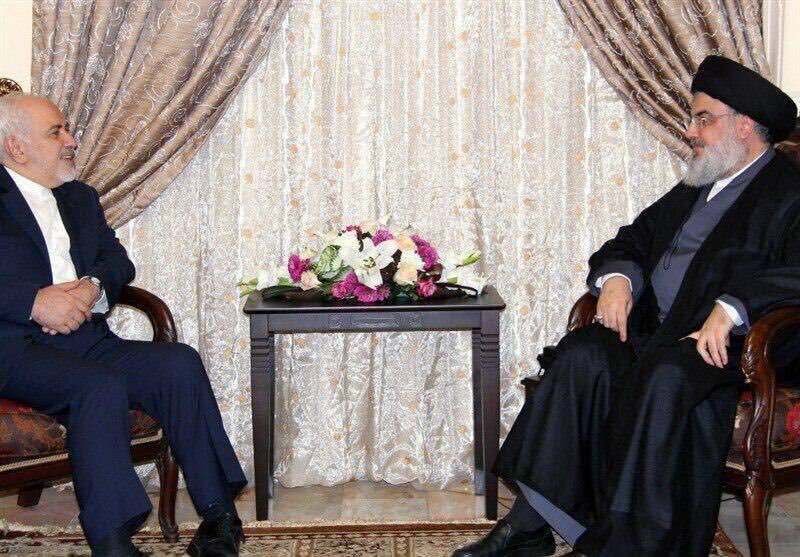 Iranian FM Javad Zarif and the security chief of the Kurdistan Region Masrour Barzani met in Germany on Saturday when Zarif stressed the need for better economic cooperation that could include free-trade and free-industrial zones. 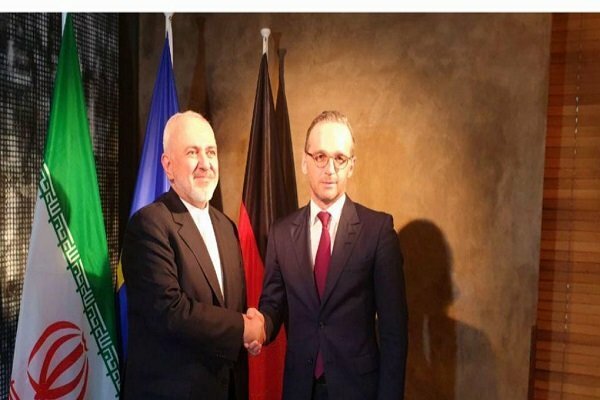 The top diplomats of Iran and Germany Mohammad Javad Zarif and Heiko Maas have held talks on the sidelines of the 55th Munich Security Conference in the German city of Munich. 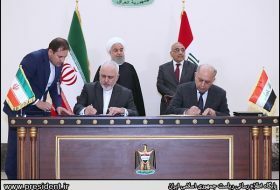 Iranian Foreign Minister Mohammad Javad Zarif on Saturday held talks with Lebanese Minister of National Defence Elias Bou Saab on the sidelines of the 55th Munich Security Conference in the German city of Munich. 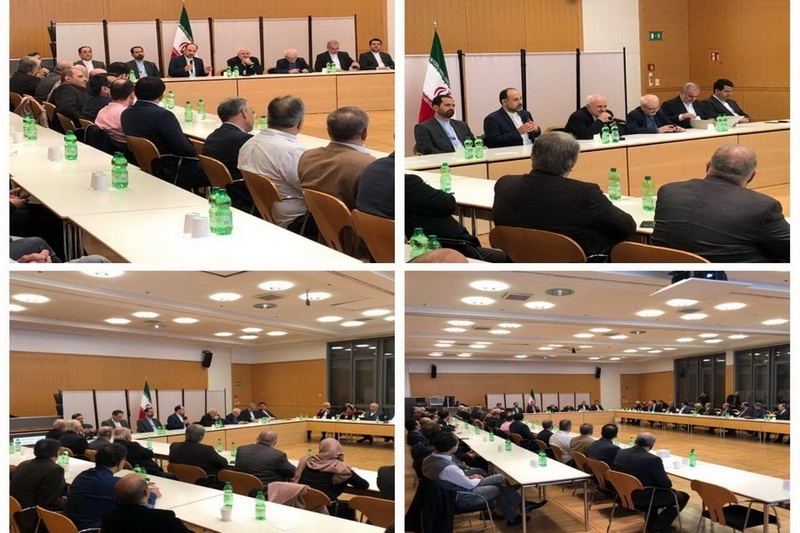 Foreign Minister Mohammad Javad Zarif met with a number of Iranian elites residing in southern Germany in Munich late on Saturday. 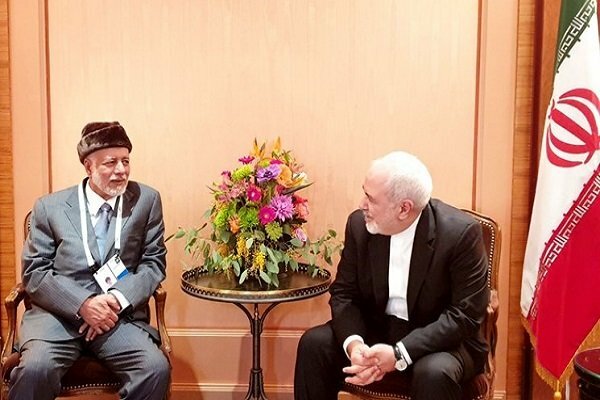 Iranian Foreign Minister Mohammad Javad Zarif and his Omani counterpart Yusuf bin Alawi bin Abdullah held talks on the sidelines of Munich Security Conference on Saturday. 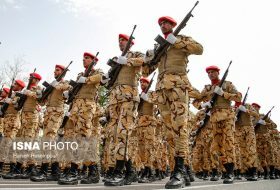 The funeral procession for IRGC personnel who were martyred in a suicide terrorist attack on their bus in Sistan and Baluchistan province was held with the attendance of General Mohammad Ali Jafari and martyrs families in the city of Isfahan. The 34th edition of Fajr International Music Festival is underway in Tehran. 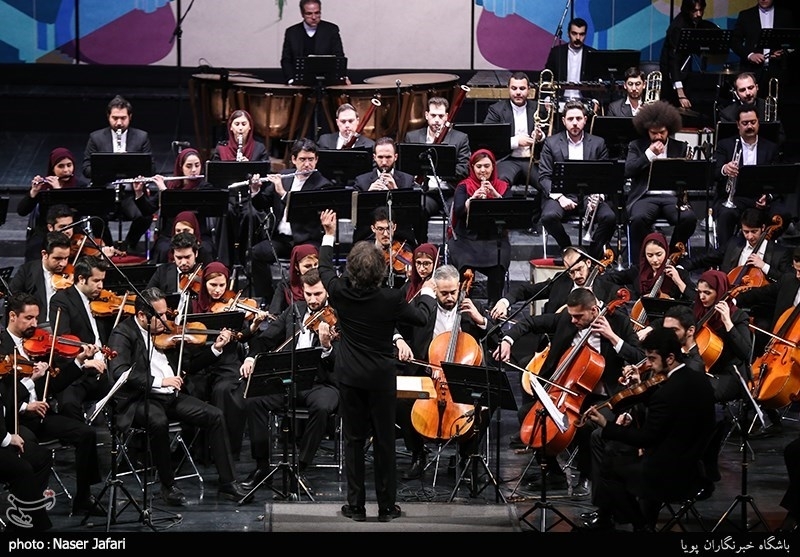 Several Iranian and foreign ensembles, soloists and orchestras perform in the festival, known as Iran’s most prominent national and international music event.